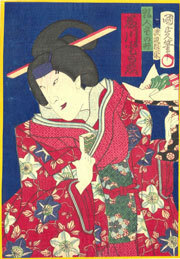 Toyohara Kunichika was born in the Kyobashi district of Tokyo in 1835. 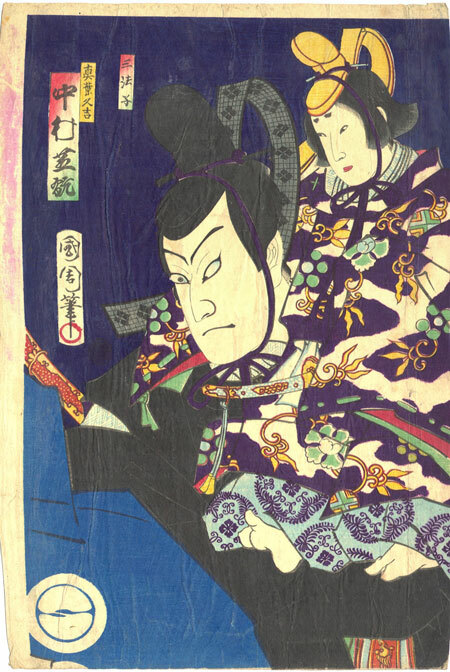 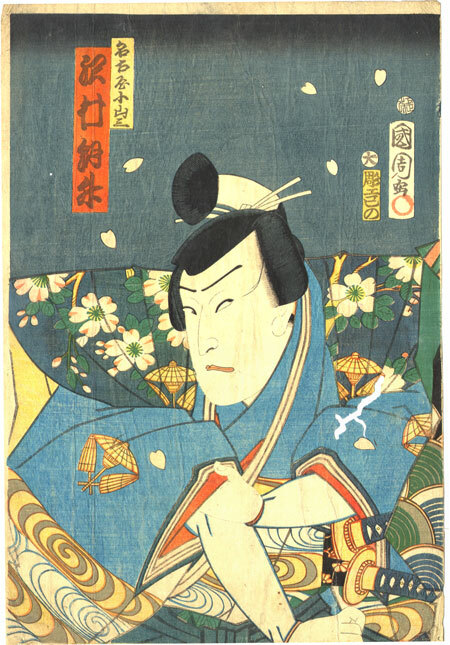 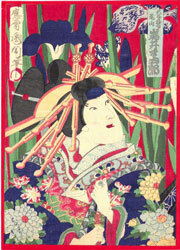 His original name was Yasohachi Oshima, but he later took the name of Kunichika which is based on the names of his two teachers, the artists Kunisada and Chikanobu. 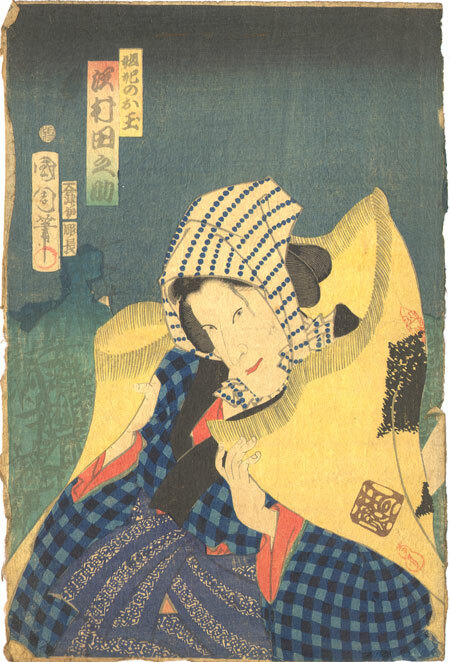 Kunichika is one of the last and best known of the Ukiyo-e artists, the artists of who documented the life of samurai, actors, and geishas of the "Floating World." He worked during the Edo period. 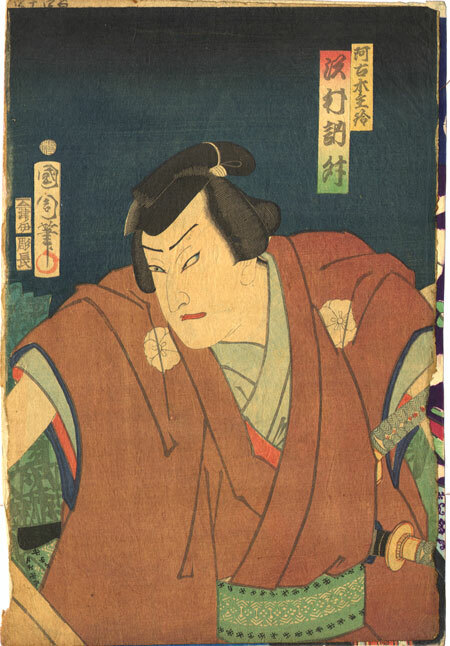 Kunichika was particularly known for his images of tough but cool actors and samurai. 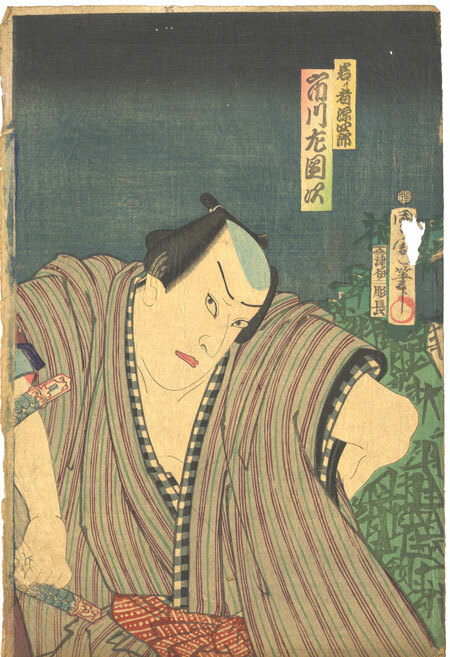 Today tatoo images based on his woodblocks of exaggeratedly masculine figures remain a favorite choice of underworld gang members. 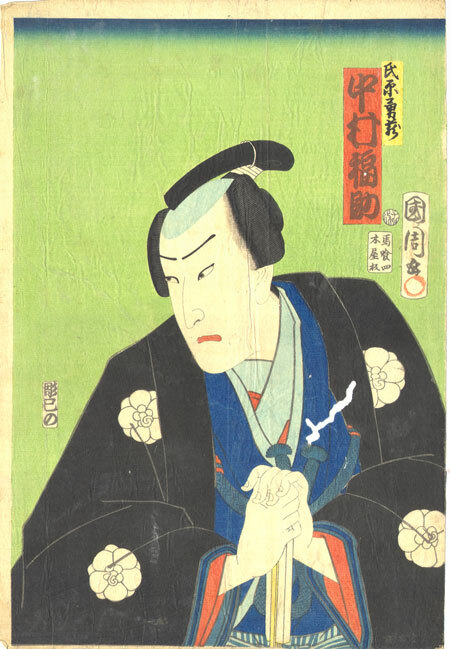 All of the images are slightly worn, and several have old worm holes.